Quick, easy, mouth-watering meals are the best meals. When you’ve got a family to feed after a full day of work, an amazing meal that is ready in minutes is like a signature magic trick. My current magic trick? 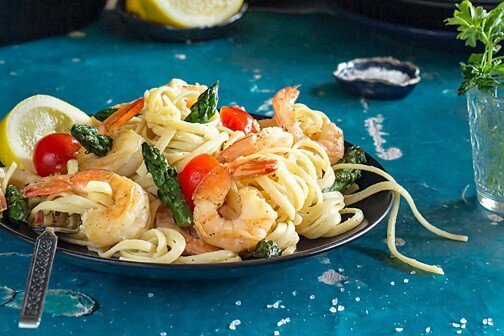 Creamy lemon-garlic shrimp linguine. This restaurant-grade, elegant dish is ready in the amount of time it takes you to cook the pasta to al dente. Yeah, that fast! Shrimp is one of the simplest seafood to cook. It has an obvious visual indicator for when they are done cooking and are perfectly done so just by tossing them in a pan for a few minutes. Although everyone loves some jumbo shrimp, you’ll want a small size so you can fit both a shrimp and a healthy mouthful of pasta. I recommend getting shrimp that is 26-30 pieces per pound. SHRIMP are high in protein, with about 24 grams per 3.5 ounces serving. A serving of shrimp also provides an impressive amount of key nutrients. Among this profile are selenium, vitamin b12, and two types of antioxidants, which aid in immunity and fight inflammation. As always, use caution when cooking with shrimp, as it is a common allergen. 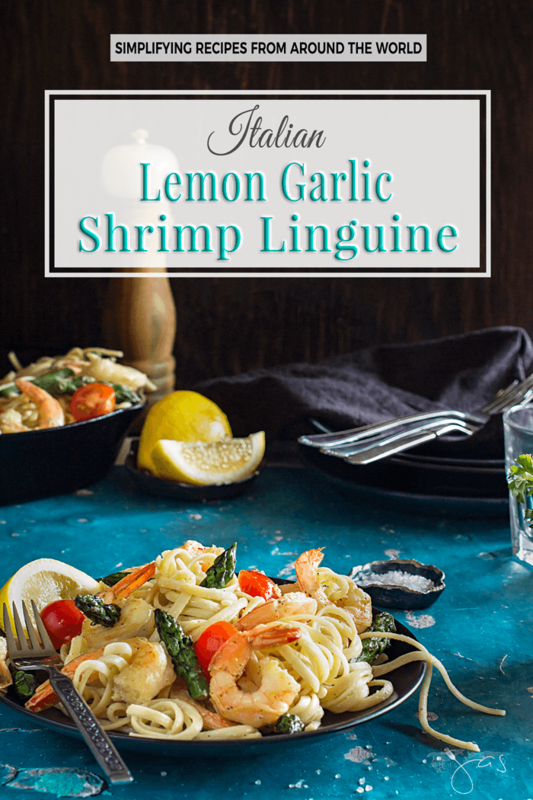 Making lemon-garlic shrimp is a great start point for any beginner chef and it will make them feel like a master chef. Like I said, shrimp is super easy to cook and pasta, well, the directions are on the box! If you’ve got an eager soul in the house who wants to start cooking, a pasta dish is a good first step. Linguine is a common kind of pasta, and it’s more commonly spelled linguine than linguini. 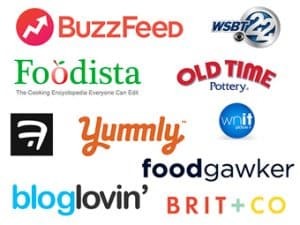 Either way you spell it, it’s an Italian word that’s the plural form of linguina, “little tongue.” The name is kind of whimsical or gross, depending on how you look at it. A slightly wider, flatter noodle, linguine is great for creamier sauces. This pasta dish has a whole mix of amazing flavors, from the tartness of lemon to the spice of the red pepper flakes. Add the bright color and crunch of the asparagus, and you have a true work of art. 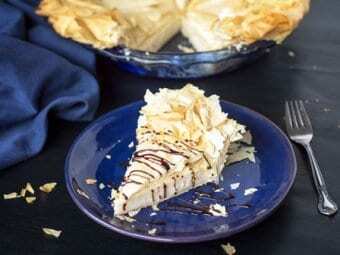 It also has a luxurious creaminess from the Mascarpone cheese that will warm your belly and your soul. Thank goodness this meal is done quickly, so you can dig in within minutes. I highly recommend picking a loaf of Italian bread or a baguette to slice and serve on the side. There’s nothing like using good bread as a sponge to soak up all of your leftover sauce in the bottom of your bowl. You must be drooling just thinking about that! 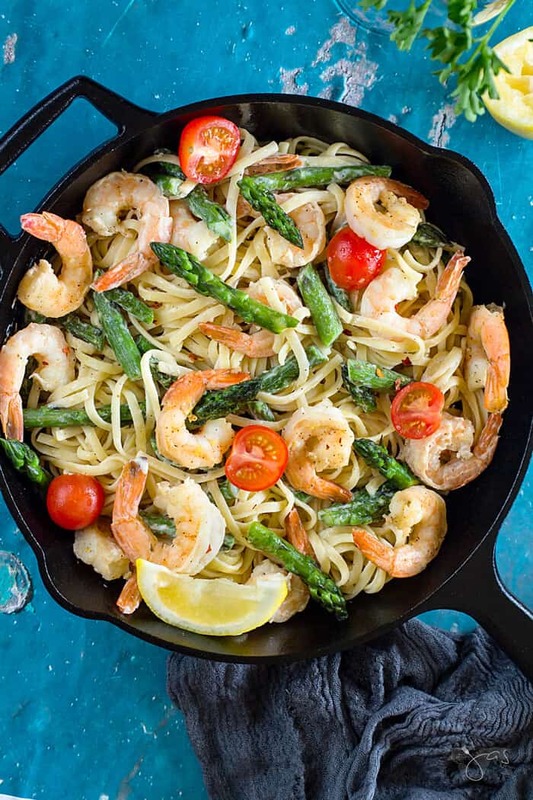 Once you get the shrimp cooking in the pan, your whole house will smell absolutely divine, and you’re bound to have some hungry floaters in the kitchen to see what’s brewing. 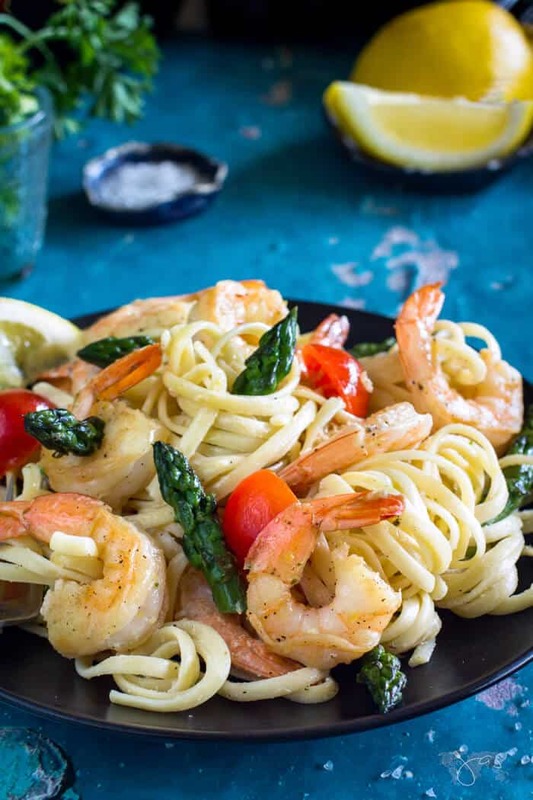 Shrimp, lemon, and creamy pasta are a match made in heaven, maybe not for your waistline, but most definitely for your taste buds. Forget about heading to a restaurant to order this beautiful bowl of pasta. You’re the chef now. Get all of your ingredients prepared, pour yourself a glass of wine and get on your apron! Use cooked frozen shrimp instead of fresh. Defrost, rinse, and add into the pan at the end just to warm through. Cook the linguine in the boiling water according to package directions until al dente. Reserve about 3/4 cup cooking water and then drain the pasta. While the pasta is cooking, prepare the asparagus. Remove the bottom 1/2 to 1-inch of the stems or the part that is tough and woody. Chop the remaining asparagus into 1-inch pieces. Toss the shrimp with the lemon zest and ¼ teaspoon each salt and pepper. In a large skillet, melt the butter over medium-high heat. Add asparagus and cook until barely tender (but not too soft or mushy), 3 to 4 minutes. Stir in garlic and red pepper flakes and cook 1 minute more. Add the shrimp and cook until just opaque, about 4 minutes. Stir in wine and lemon juice, bring to a boil and cook until slightly reduced, about 1 minute. Add the drained pasta, cheese and 1/2 cup of the cooking water. Toss well adding more cooking water as needed until the pasta and shrimp are coated and sauce looks creamy. Remove from the heat. Season with salt and pepper to taste. Enjoy! 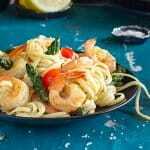 Quick, easy, creamy, and mouth-watering lemon garlic shrimp linguine with asparagus will be your family's new favorite dish! This looks like something my boys would love. Thanks for sharing at Fiesta Friday . Super, look forward to making it for them. Thanks. This looks delicious! This looks like a recipe my family will love. Thank you for sharing! I hope they will! 😀 Thank you, Lynne! This look delicious! Definitely pinning. I’m super excited about this dish, it looks amazing! I love pasta dishes. This recipe is so elegant and it looks easy. 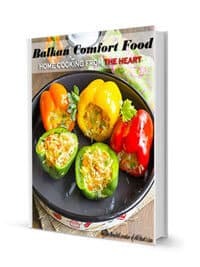 It is on must try list. Wow! Putting this on the menu for next week! Thanks for sharing it. I will bring the Italian bread loaf you mentioned and be right over for lunch….I wish….Looks amazing and Pinned! Lol, Susan! Deal 😀 Thanks for stopping in. Oh my goodness, Jas, this looks delicious!! I’ve pinned this for future reference. I always have shrimp on hand, and I love to get new recipes featuring shrimp. Yum!